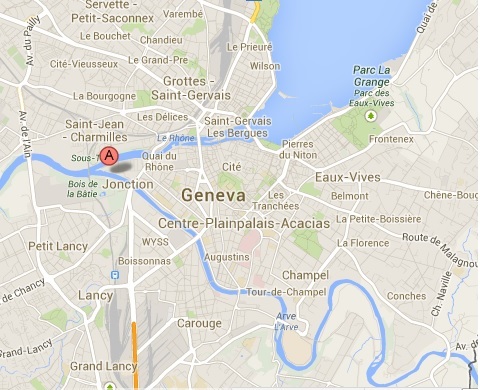 There’s a magnificent point of view in Geneva that not many know. 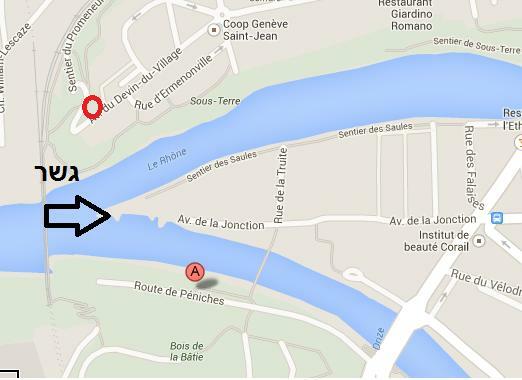 It is where the Arve and Rhone river meet. The rivers have different color and when they meet and mix – the result is beautiful. As can be seen in the map below, the Arve is coming from the mountains and is full of drift and its color is yellow, while the Rhone comes from the lake and its water is clear. In order to see this magnificent view, you should get there from one of the sides of the rivers. There’s a park and a railway+pedestrian bridge. The bridge has busy traffic of walkers and joggers :-) the location and direction of where I took the picture is marked on the map with an arrow. We parked where the red circle is on the map. There’s a way down via the park with a lot of stairs. I think the park is very nice as well, quite natural. 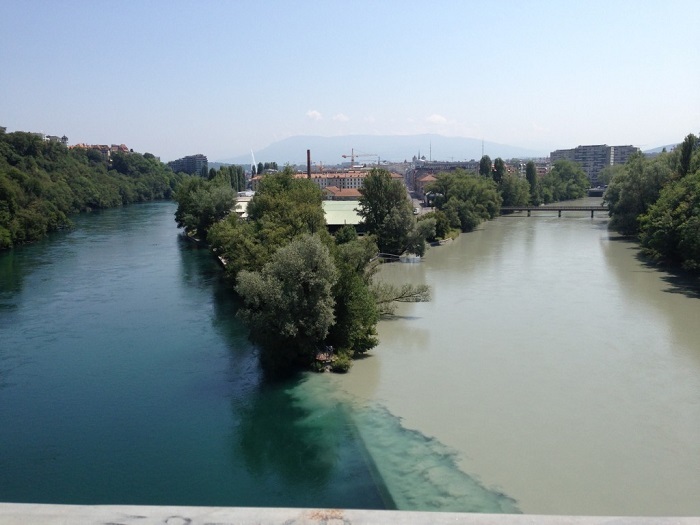 If you get to Geneva in the summer and have time and don’t want to pay to swim in Bain de Paquis (there’s a charge for using the facilities) – you can bath in this part of the river. The locals don’t only bath there, they also do rafting and use tubes to float on the river.